Another favourite time to eat this dish is an alternative to a traditional Sunday lunch. It is not every Sunday you want a full Sunday roast. It is still OK to serve Yorkshire puddings with the dish, in fact, it is a must. 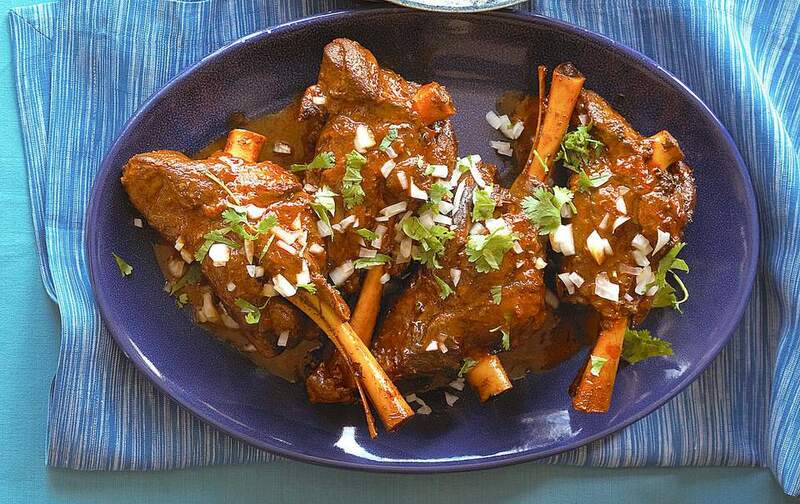 You will find many, many recipes for Braised Lamb Shanks but this is one of my all time favourites. The lamb shank is cooked very slowly in a good red wine (I emphasise good, never cook with wine you would not drink, why would you?) The wine tenderises the meat and also adds flavour to the gravy. Once cooked, long and slow you will find the meat will quite literally, fall from the bone. Preheat the oven to 160 C/320 F/Gas 2. Sprinkle a chopping board with salt and freshly ground pepper, then quickly roll each lamb shank over the board to cover lightly with seasoning. In a large ovenproof casserole heat the oil, once hot, brown the lamb shanks, two at a time. Pour in the red wine, bring to a gentle boil, leave to simmer until reduced by half. Add the onion, garlic, rosemary and finally the lamb shanks. Bring back to a simmer then cover the dish and place in the oven. Cook for 3 hours, checking from time to time that the meat is covered in stock and top up as necessary and also occasionally turn the shanks. Once cooked, remove the shanks and keep warm. Serve a lamb shank per person and a large, warm dinner plate with creamy mashed potatoes with lots of sauce poured over. The lamb shanks are also good left to cool and then the next day warmed through and eaten. Eating the next day means the flavours have lots of time to develop. Delicious.